DFM Senior Scientist Rachel Grob, MA, PhD, researches ways to use patient narratives to improve health care. 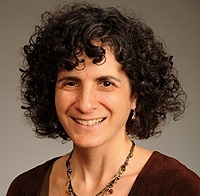 Rachel Grob, MA, PhD, a health advocate, medical sociologist, qualitative researcher and health policy expert, joined the Department of Family Medicine (DFM) in April as a senior scientist. Dr. Grob’s appointment is split between the DFM and the UW-Madison Center for Patient Partnerships (CPP), where she is a clinical associate professor and the director of national initiatives. She is the first CPP faculty member to have a formal appointment in a School of Medicine and Public Health (SMPH) department. Dr. Grob’s research focuses on how patients’ narrative accounts of their health care experiences can be systematically collected and applied toward improvements in clinical practice, clinician education, patient support, quality improvement and health policy. Patient experience is an important topic in health care right now. “Improving the patient experience of care” was one of the Triple Aims outlined by the Institute for Healthcare Improvement in their framework for optimizing health system performance. guide all clinical decisions,” as one of the core six aims for improvement in its landmark report, Crossing the Quality Chasm. “Patient experiences—if we know how to listen to them—are a nuanced and very robust form of data that need to be handled with respect and expertise,” Dr. Grob explained. The challenge is that patient experiences—as expressed through narratives—are by definition difficult to quantify. To be effective, this type of research requires validated qualitative study design and research methodology. A DFM appointment was a natural fit For Dr. Grob, who already has a thriving collaboration with DFM Assistant Professor Nancy Pandhi, MD, MPH, PhD. In May, she and Dr. Pandhi collaborated with the DFM, the Health Innovation Program and the UW School of Nursing to bring University of Oxford medical sociologist Sue Ziebland, MSc, to the SMPH for a presentation on the rise of patient experiences. She and Dr. Pandhi are also collaborating with several colleagues around the country to establish a U.S. chapter of DIPEx International, a global collaborative that promotes qualitative research on people’s personal experiences with illness and health—for the benefit of patients, caregivers, health care professionals, educators and policy makers. In addition to her work with the DFM, Dr. Grob is a co-principal investigator on a U.S. Agency for Healthcare Research and Quality (AHRQ) grant that aims to develop a qualitative component to AHRQ’s Consumer Assessment of Healthcare Providers and Systems(CAHPS) surveys. To learn more about her CAHPS work, listen to a recent AHRQ Webcast in which she was a speaker. She also participates in several federal health policy workgroups, and is the author or co-editor of two books: Testing Baby: The Transformation of Newborn Screening, Parenting, and Policymaking and Patients as Policy Actors.